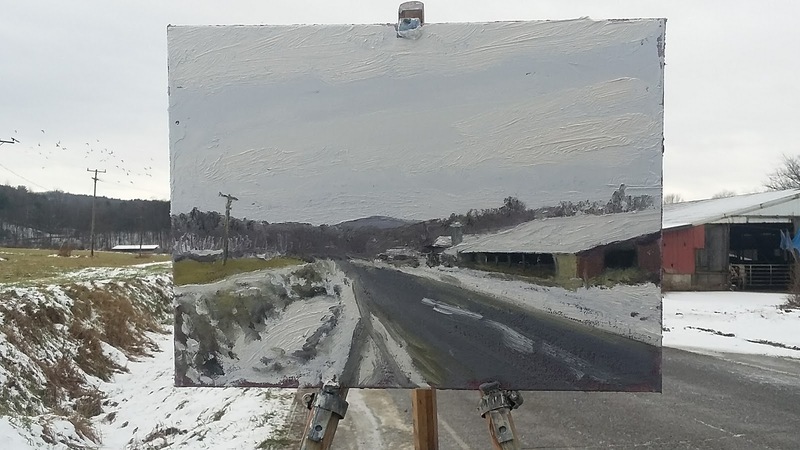 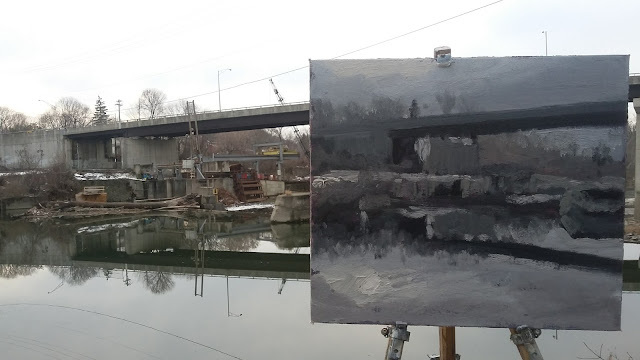 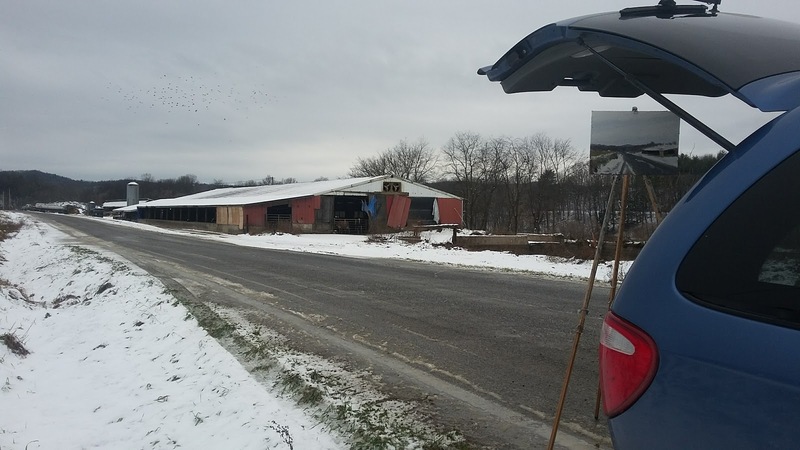 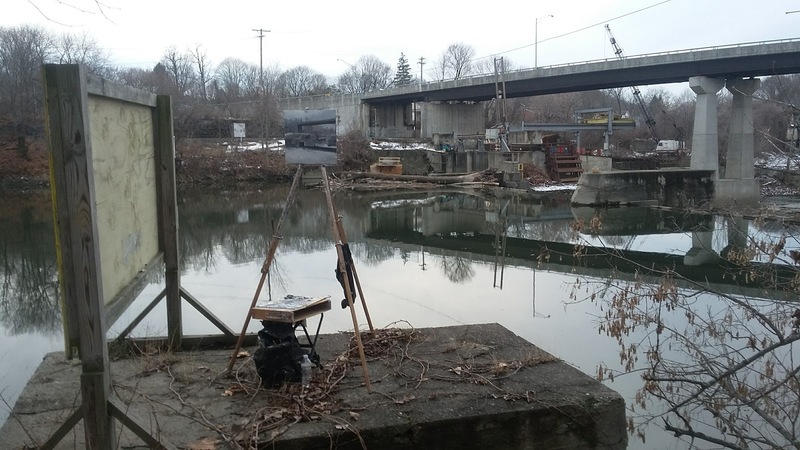 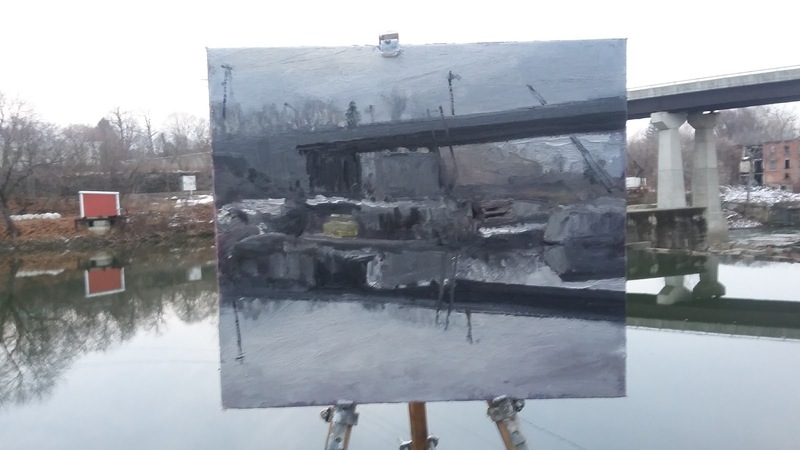 Matt Chinian Painting Blog: Snow and grey, the farm and the river. Snow and grey, the farm and the river. This is at the end of Bunker Hill Rd. I've painted from the other side a few times. 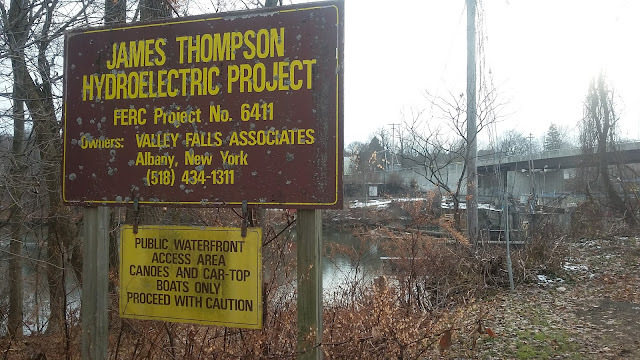 This convenient platform is part of the dam structure.